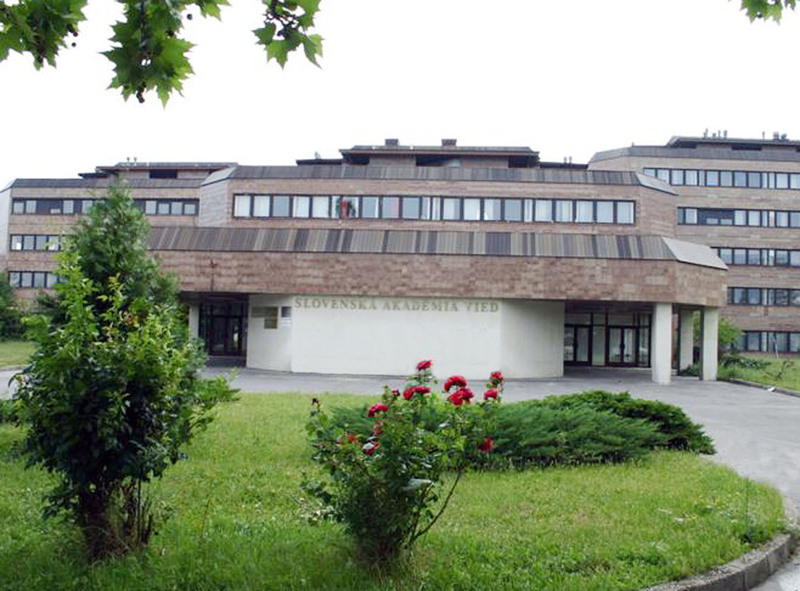 The Institute of Plant Genetics and Biotechnology of the Slovak Academy of Sciences (IPGB SAS) in Nitra was established in 1990 as the Institute of Plant Genetics, aimed to solve actual problems of genetics and breeding of selected agricultural crops, forest and fruit trees. Since 1998, the scientific orientation of the Institute has been extended to biotechnology and gene engineering and its name has been changed to Institute of Plant Genetics and Biotechnology. The IPGB is the only research body in Slovakia oriented on advanced research in the field of plant genetics and biotechnology. Since 2017 the Institute is part of Plant Science and Biodiversity Center SAS together with the Institue of Botany SAS. In the field of population genetics and breeding, the Institute - as one of the few institutions in Europe dealing also with dendrology - conducts research on the genetic polymorphism and biodiversity of selected forest tree species (Pinus sylvestris, P. mugo) as well as interspecific hybridization and hybridological relations of the Abies alba. To increase the resistance potential of above species by using molecular markers is the main goal of these activities. Permanent research plots established in several regions of Slovakia, extended already existing gene pool of Abies species, which offer the possibility of their further use for the research or breeding practice. The Institute addresses the long-term research also on mutation breeding and selection of hybrid lines of amaranth (Amarathus sp.) for food processing. This effort led to the registration and granting the Institute the Breeder's Certificate on Amaranthus cruentus, cultivar ´Pribina´, as the first amaranth cultivar bred in Slovakia. In the field of genetic engineering, the research activities are focused on genome modification of agronomically important crops, forest and fruit trees with the aim to improve their utility properties and to increase resistance against the pathogens. A part of that research are the analyses of transgene expression, factors influencing this expression as well as GMO safety issues, especially preventing their release into environment. The Institute focuses also on the study of functional genomics and proteomics, namely during the process of plant embryo development (both zygotic and somatic embryogenesis) as well as in response of plants to different types of stress. This involves also study of the cytological, morphological, biochemical and molecular aspects which play crucial role in these processes. An integral part of scientific activities of IPGB is study of plant growth and developmental under in vitro conditions, by use tissue cultures in genetic transformations and in regeneration and micropropagation of selected economically important plant species and crops.